guest stars as a Hawaiian history buff who helps Five-0 with the case. HAWAII FIVE-0 airs Monday, Feb. 20 at 10:00 pm on CBS. Comcast Cable Communications based in Philadelphia has filed a federal lawsuit against Sprint Nextel alleging that they have infringed on four of Comcast's patents. The patents include the very core features of Sprint's service including a 2005 Comcast patent called "Transferring Of A Message". Whitney Houston, who passed away last week was celebrated in grand style at a public Homegoing ceremony. There was music, speeches and tears at the gathering at New Hope Baptist Church in Newark, where Houston got her musical start in the church choir. A bill on its way through the General Assembly could open the door for the NRA to challenge local gun control laws passed by local governments. The legislation would penalize municipalities - including Philadelphia and 29 others - that have enacted laws to curb illegal gun sales by requiring them to pay damages and penalties to plaintiffs who challenge those laws in the courts. A group of Philadelphia artists claimed the Grammy for Best Children's Album this week. 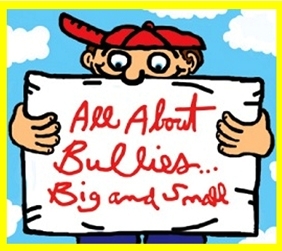 All About Bullies Big and Small is a collaborative effort that included songs, stories and poetry from local artists including Eric Bazilian, John Flynn, Grover Silcox, Cyndy Drue, Debbi Calton, Steve Pallura, Skip Denenberg, Little Steven Van Zant and others. Adele, the 23-year-old singer-songwriter from London, dominated the Grammy Awards this year grabbing the statue in all six categories she was nominated including album of the year, for 21. In her first live performance since cancelling her tour for vocal chord surgery, Adele wowed the crowd with a powerful rendition of Rolling in the Deep. Last year, Philadelphia developer Bart Blatstein bought 18-story building that had been home to Philadelphia Media Networks assets including the Inquirer, Daily News and Philly.com. Now Blatstein and four partners have formed a company to explore purchasing Philadelphia Media Network Inc. but it is unclear whether the group will be able to participate in the bidding process. Bruce Springsteen's E Street Band sax man Clarence Clemons passed away in June and now the Big Man's nephew, Jake Clemons will be asked to help fill his sizable shoes on tour with the Boss. Philly fans will see the entire new lineup when Springsteen comes to town March 28th and 29th. Lawyers for the Philadelphia priest, Msgr. William Lynn, accused of enabling priests to sexually abuse boys have asked the trial judge to step down, saying she compromised her impartiality when she said anyone who doubted there was "widespread" child abuse in the Catholic Church "is living on another planet." Fresh off her Super Bowl halftime performance, Madonna has announced her World Tour. Philadelphia will be the first stop in North America after stops in Europe. Madonna will be in Philadelphia August 28th at the Wells Fargo Center. Tickets go on sale February 13th. The complete Madonna 2012 World Tour itinerary is below the following press release.